We are just a couple of days into December and soaking up every bit of it. It is by far my most favorite month of the year! We decorated our tree a few nights ago, ordered a pizza, got our Christmas music station on pandora going and talked about each of the ornaments. I made piles for both older kids this year. 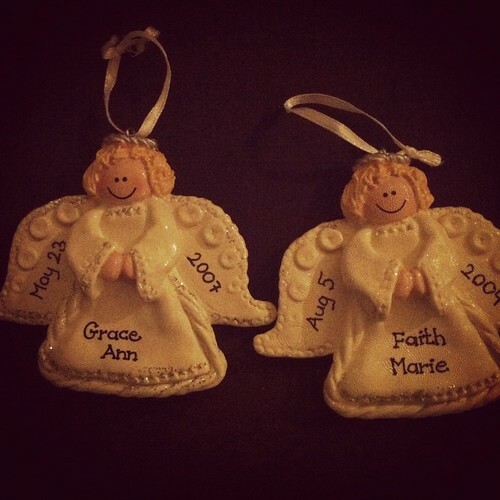 Their own ornaments to put on the tree. They are at that age, you know. So this year I planned ahead and was sure to give them an even amount each to hang on the tree. And see? It worked. They still love each other. Asher by the way, is my little Elf. He loves Christmas. Gets so into it. He is the Clark Griswald of all 6 year olds. These two are some of my most favorite. I love having ornaments to put up for the girls each year. Today we had our Christmas pictures done, then came home to put up our outdoor lights.....well Brandon did, while the kids watched/helped. 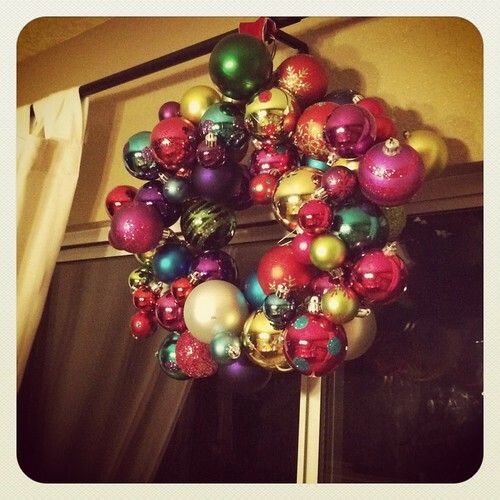 I stayed inside and worked on this ornament wreath. I made it last year, but added more ornaments to it tonight. I'm determined to not only interject lots of family time, but most of all, Jesus, into each of our memories this December. I wanted to do something with the kids to celebrate each day leading up to Jesus' birthday and planned on coming up with a scripture verse and activity for each of the 25 days. Then my sister in law gave us this book on Mia's birthday. And I love her for it. It is perfect. It has a short little story, with an acitivity, prayer and bible verse for each day. The kids are loving it and I am too! It makes it so easy. Tonight we talked about angels and then drew a picture of one to give to someone we love. Oh and you know what else December means to me? Yes indeedy. My favorite. And at Christmas they are around every corner. 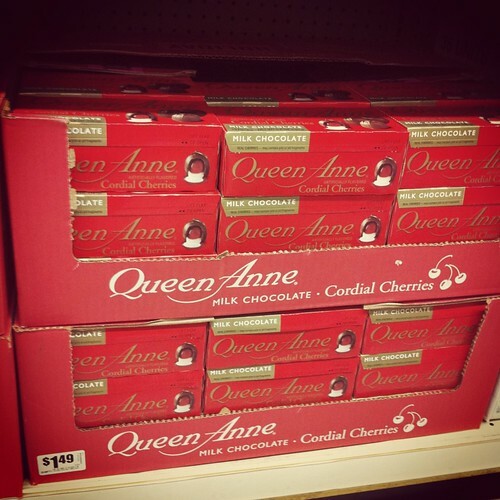 1.49 of pure deliciousness, my friends. 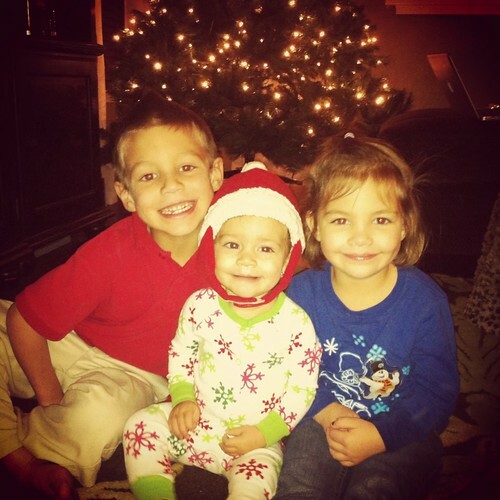 your kids are cuties lol :) and those cherries are my favorite too, love them! I love the picture of your son hanging the star! Oh my gosh! Those cherries!! I haven't thought about those in years! They were my dads favorite...i should look into it. ;) Oh and have you heard of Truth in the Tinsel? 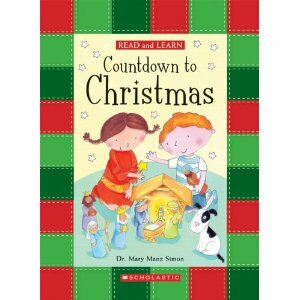 Super cute Advent/countdown to Christmas activities. :) love your blog!! I love your blog and am excited to be apart of what you're doing! By the way, your family is just beautiful! I'll definitely be a regular reader from now on. Cute pictures! I love the vintage look to them! hi sweet girl! i just found your blog through the wiegand's, and i'm your newest follower. love your heart and project hope. i added your project hope button to my blog, which is a blog to encourage your women in following Christ.